Organizations are increasingly moving workloads to the cloud to capitalize on virtualization benefits—but with that move comes new security requirements. Enter the vSRX virtual firewall, providing scalable, secure protection across private, public, and hybrid clouds. The vSRX offers the same features as our physical SRX Series firewalls but in a virtualized form factor for delivering security services that scale to match network demand. It offers the same features as the SRX appliance, including core firewall, robust networking, full next-gen capabilities, and automated life-cycle management. Handling speeds up to 100 Gbps, the vSRX is the industry’s fastest virtual firewall. 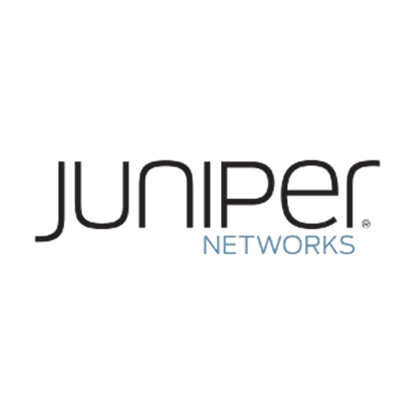 It supports Juniper Contrail, OpenContrail, and third-party software-defined networking (SDN) solutions and integrates with cloud orchestration tools such as OpenStack. Junos Space Security Director with Policy Enforcer enables automated security enforcement, giving you unified management and visibility for physical and virtual assets through a common interface. Platform Flexibility. Supports VMware ESXi, NXS, and KVM (Centos, Ubuntu) platforms, as well as orchestration with vRealize Orchestrator and OpenStack. Public-Cloud Workload Protection. Provides uncompromised protection of workloads on AWS and Microsoft Azure public clouds. Comprehensive Threat Mitigation. Integrates virtualization-specific Unified Threat Management (UTM) that includes anti-virus, enhanced web filtering, intrusion prevention, and Juniper AppSecure 2.0 next-generation firewall services. Network Agility. Supports Software-defined networking (SDN) and Network Functions Virtualization (NFV) through integration with Contrail, OpenContrail, and third-party SDN solutions. Malware Blocking. Works with cloud-based Juniper Sky Advanced Threat Prevention (ATP) to identify and quickly block advanced malware and cyber attacks. Outstanding Performance and Scalability. Scales up to 100 Gbps for ultra-high-performance protection across multiple deployment scenarios. Automation of Key Functions. Lets you automate management and orchestration via powerful, versatile APIs in Junos OS, using tools such as REST APIs, NETCONF, Ansible, and Vagrant. Flexible Licensing Models. Offers simple, flexible, and scalable licensing models to match different business requirements. 100M vSRX Application Security 1 year subscription. Includes AppSecure and IPS on vSRX. 100M vSRX Application Security 3 year subscription. Includes AppSecure and IPS on vSRX.